Our range of products include almox - 500 capsule, deslor tablets desloratadine, quinine dihydrochloride injection and coverit hair solution, minoxidil. 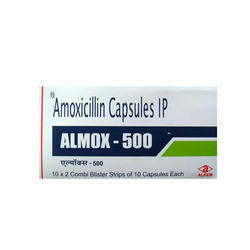 Usage/Application Almox 500 Capsule is an antibiotic. HOW TO USE ALMOX CAPSULETake this medicine in the dose and duration as advised by your doctor. Swallow it as a whole. Do not chew, crush or break it. Almox 500 Capsule may be taken with or without food, but it is better to take it at a fixed time.HOW ALMOX CAPSULE WORKSAlmox 500 Capsule is an antibiotic. It kills bacteria by preventing them from forming the bacterial protective covering (cell wall) which is needed for them to survive.ALMOX CAPSULE RELATED WARNINGSAlcoholSAFEIt is generally safe to consume alcohol with Almox 500 Capsule.PregnancyPROBABLY SAFEAlmox 500 Capsule is probably safe to use during pregnancy. Animal studies have shown low or no adverse effect on the foetus, however, there are limited human studies. Please consult your doctor.LactationSAFEAlmox 500 Capsule is safe to use during lactation. Human studies have shown that either the drug does not pass into the breastmilk in significant amount or is not expected to cause toxicity to the baby.DrivingDo not drive unless you are feeling well. Almox 500 Capsule can have side effects and the symptoms (such as allergic reactions, dizziness and convulsions) may make you unfit to drive.KidneyCAUTIONAlmox 500 Capsule should be used with caution in patients with kidney disease. Dose adjustment of Almox 500 Capsule may be needed. Please consult your doctor. Use of this medicine is not recommended in patients with severe kidney disease.LiverCAUTIONAlmox 500 Capsule should be used with caution in patients with liver disease. Dose adjustment of Almox 500 Capsule may be needed. Please consult your doctor. Deslor 5 Mg Tablet Is Used In The Treatment Of Allergy Symptoms. Take This Medicine In The Dose And Duration As Advised By Your Doctor. Swallow It As A Whole. Do Not Chew, Crush Or Break It. Deslor 5 Mg Tablet May Be Taken With Or Without Food, But It Is Better To Take It At A Fixed Time. Deslor 5 Mg Tablet Is An Antihistaminic Medication. It Treats Allergy Symptoms Such As Such As Itching, Swelling, And Rashes By Blocking The Effects Of A Chemical Messenger (Histamine) In The Body. Quinine Dihydrochloride 300 Mg Injection Is Used In The Treatment Of Melasma. 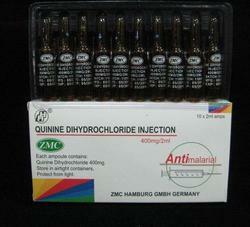 Quinine Dihydrochloride 300 Mg Injection Is A Skin Lightening Medication. It Works By Reducing The Amount Of A Pigment (Melanin) That Causes Darkening Of Skin. Coverit 2% Solution Is Used In The Treatment Of Hair Loss. Coverit 2% Solution Is A Vasodilator. It Works By Widening The Blood Vessels And Provides Better Blood Flow To The Hair Follicles. This Prevents Hair Loss And Stimulates Re-Growth Resulting In Longer, Thicker And Increased Numbers Of Hair. Pregnancy Weigh Risks Vs Benefits Coverit 2% Solution May Be Unsafe To Use During Pregnancy. Lactation Safe Coverit 2% Solution Is Safe To Use During Lactation. Human Studies Have Shown That Either The Drug Does Not Pass Into The Breastmilk In Significant Amount Or Is Not Expected To Cause Toxicity To The Baby.